We couldn’t be more excited for Halloween. That is why we are already decorating our gardens in our minds with all sorts of spooky and festive Halloween decorations. Speaking of Halloween decorations, have you ever considered decorating your garden with colorful flags? 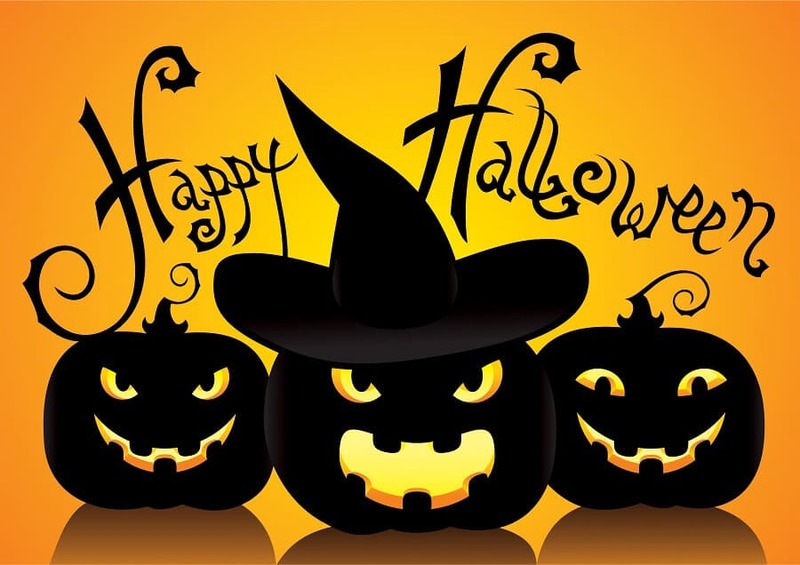 They are a great way to bring some festive energy to your entire backyard and make sure your house looks inviting to trick-or-treaters of all ages. Just to give you an idea of your options, here are 3 Halloween garden flags that you can purchase just in time for this year’s spooky holiday. If you’re a fan of both cute and slightly spooky Halloween decoration items, then you are going to love this garden flag. It depicts an entire Halloween scene. 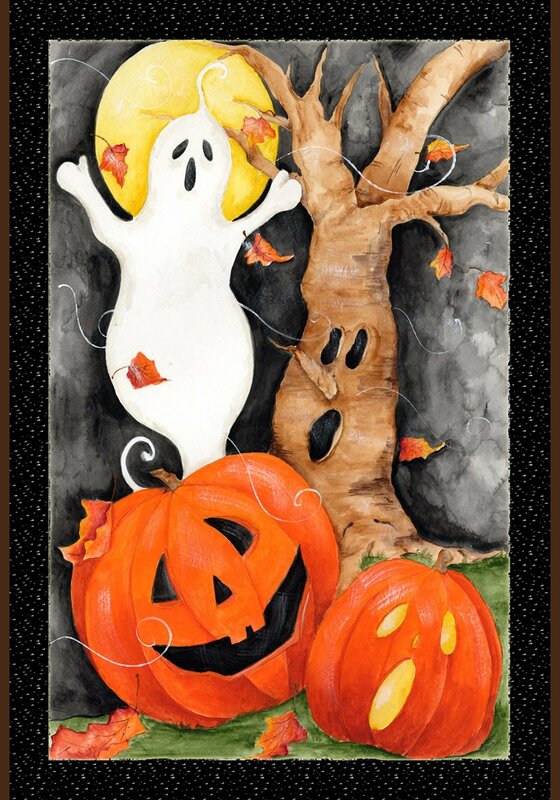 It has a ghost, a scary-looking tree, a moon, two pumpkins shaped like Jack-O-Lanterns, all on a breezy and cloudy day background. You can order this cute Halloween flag from Amazon, and you will get both beauty and quality in the same product. The flag is designed so as not to fade when placed outside in the rain or sun. You can also wash it on your machine, and store it for next Halloween without too much work. Plus, you have a lot of possibilities to hang it. You can use arbors, wooden hangers, suction cup hangers, flag stands, post mount hangers, and so on. Let’s say you don’t particularly enjoy the spooky side of Halloween, but you would still like your garden to look nice in preparation for this holiday. Well, even though Halloween is 90% about spook, the other 10% is for cute decoration items such as this decorative pumpkin garden flag. The extremely cheerful vibe of this pumpkin Jack-O-Lantern is guaranteed to get you in a festive mood in no time. 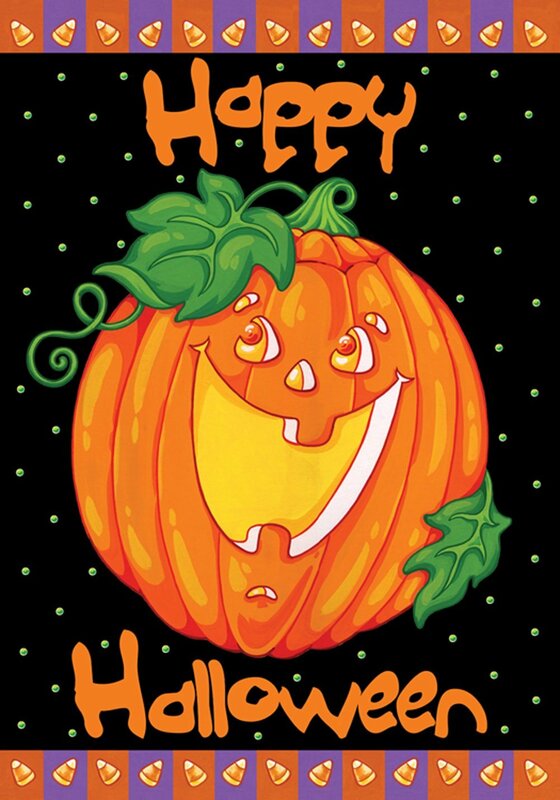 The flag reads “Happy Halloween”, and it is the same superior quality as the one we’ve presented above. This one too is extremely resistant to all types of weather and easy to clean as well. You can purchase it on Amazon. Then, hang it as you’d like, and take in its merriment during all of October. If you’re looking for more impressive Halloween garden flags, you might want to take a look at this one. You can find it on Amazon. It has a gorgeous purple shade, and it is decorated with a haunted house and spooky bats. Moreover, it even comes with a hanging tassel of a bat for some extra movement whenever the wind blows. You can simply stick it into the ground in your garden. Then, just take it out and store it comfortably, since it has a telescopic stake. We hope these 3 Halloween garden flags have convinced you that this year, you should spruce up your garden with spooky and cute Halloween decorations. What better way to start than with a colorful flag?